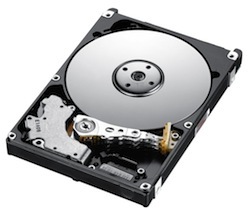 Drives can fail mechanically – a component inside the hard disk may break resulting in the data becoming inaccessible. ..or their programming can become corrupted – this is commonly called ‘firmware’ and relates to the microprograms that make the hard drive function correctly. ..or human error may be involved – typically a file or folder get deleted, or a system is re-installed before all the data is backed up. In most cases, the data on your hard drive will be recoverable. However, it’s important to you go about the data recovery process in the right way. Whether you need to use a data recovery company of not depends upon what’s actually wrong with your hard drive. Often you don’t need a data recovery company if all you’ve done is delete some files or folders. In circumstances like these, when there’s nothing wrong with the drive, you don’t need a data recovery company. All you usually need is some software that will recover the deleted data for you. You only really need a data recovery company when there’s something wrong with the hard disk. Mechanical faults, electrical faults, firmware faults, and drives with a lot of bad sectors require data recovery specialists. These are disk problems that can not be fixed by buying software. You need to use a data recovery company like Data Clinic Ltd. The above example shows a hard drive with a mechanical failure – the lid of the hard drive has been removed to give you a better understanding of what goes on inside the drive: the heads of the drive no longer work and drive is continually resetting as it’s failing a self test that all hard drives go through when they are first powered on. Does your hard drive sound like this? If it does it also has a mechanical fault and to recover it you need a data recovery company. Quality data recovery firms like Data Clinic Ltd provide file recovery not only from hard drives but also from mobile phones, external hard drives and servers such as RAID 5 and NAS disks. 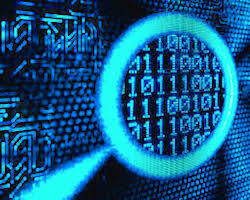 A recently addition to Data Clinic Ltd’s portfolio data recovery services is their provision of computer forensics, sometimes known as ediscovery, or data discovery. This involves looking through the contents of a hard drive, RAID server or mobile phone to discover evidence that is then recovered and provided to the customer. In addition to standard data recovery services from hard drives and mobile phones, forensic data recovery is the investigation of computer systems, hard disks, mobile phones etc for data and evidence, usually to be used in civil or criminal legal cases. Phone investigation may involve the discovery and recovery of deleted text or WhatsApp messages, emails, photographs, diary entries, map locations and phone numbers called. Computer (hard drive) investigation is more usually confined to emails and the sharing / sending of files to other computers. Recovering internet history is also very useful in data investigations and recovery. Another area of interest is CCTV data recovery – the interrogation / investigation and recovery of digital images from DVR / CCTV systems. Why Don’t You Just Use A High Street Shop ? Don’t even go there – no really. Unless you have deleted some files or folders do not use a high street shop. PC shops are good at selling you printer cartridges or a new monitor, they do not have the skills, the tools or the knowledge to recover data from faulty hard drives.